Aircraft maneuver and parking stand simulation essentials. 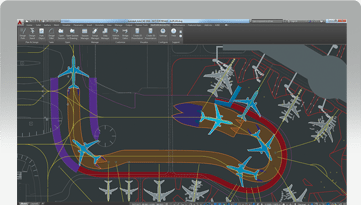 Thanks to its user-friendly interfaces, intuitive workflow processes and extensive object library, AviPLAN Airside makes easy work of airside planning and design tasks ranging from analyzing the swept path movement or jet blast profile of a commercial airplane through to designing a contact or non-contact parking position. Dynamic, intuitive, accurate and fast! Overview INTRODUCING AVIPLAN Incorporating essential tools for airside planning, design and operations, airport planners and engineers can use AviPLAN Airside to perform aircraft and ground support vehicle simulations to check for safety and clearance requirements at runways, taxiways, stands and other airport facilities. 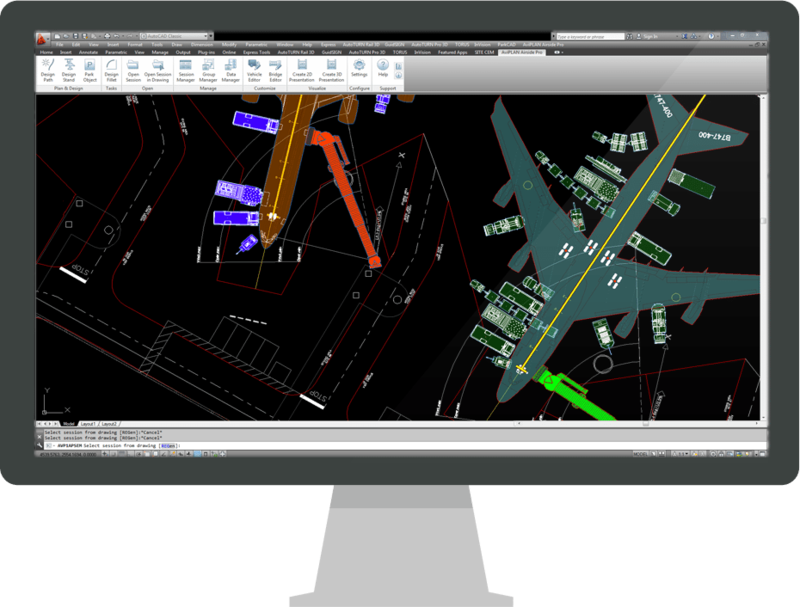 Incorporating essential tools for airside planning, design and operations, airport planners and engineers can use AviPLAN Airside to perform aircraft and ground support vehicle simulations to check for safety and clearance requirements at runways, taxiways, stands and other airport facilities. https://transoftsolutions.com/wp-content/uploads/2016/03/AVI_Pushback_big.png Overview ACCURATE PUSHBACK MANEUVERS The dependable path simulation algorithm allows users to accurately simulate complex airplane-towbar/towbarless tractor pushback maneuvers, for defining new or verifying existing operational procedures. The dependable path simulation algorithm allows users to accurately simulate complex airplane-towbar/towbarless tractor pushback maneuvers, for defining new or verifying existing operational procedures. https://transoftsolutions.com/wp-content/uploads/2016/03/AVI_Jetblast2D_big.png Overview SAFE AIRCRAFT MANEUVERING Powerful maneuver simulation tools allow users to define and adjust parameters such as aircraft/vehicle type, turn types and angles, construction points and offsets, speeds and much more "on the fly". 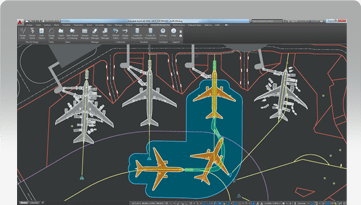 Powerful maneuver simulation tools allow users to define and adjust parameters such as aircraft/vehicle type, turn types and angles, construction points and offsets, speeds and much more "on the fly".